In South Africa, if you are under the age of 18, you qualify as a dependent under your parents or guardians medical aid. Once you turn 21, you no longer qualify as a dependant and have to make decisions which will accommodate your pocket and lifestyle. In this case, we speak about student medical aid. What options do you as a student have as soon as you reach this critical age? In such cases, there are many options available to students. In the fact that your health is overall good and you hardly go to the doctor, then the hospital plan will be the best suit for you. Not only is it affordable, but it will be there to cover you should something happen that lands you in the hospital. Yet if you are a student and you have a chronic illness such as asthma, anxiety disorder or diabetes, then you will need a student medical aid. Depending on your medical aid scheme, there are options available that provide for students. Most medical aid schemes will continue to cover you as a student, at just a higher price. A student is placed under the chief guardian’s medical aid and will continue to receive medical aid benefits as soon as the student can provide proof of study from the University or College. Yet if the choice is taken to switch entirely to student medical aid, then this should be done as soon as the older cover dies away. This is so because, with most medical aid covers, a waiting period is usually put in place. So to avoid any unfortunate events which result in no protection during the waiting period, the new student medical aid should be signed up for while the old one is being phased out. What does student medical aid cover? Student medical aid generally works like any other cover but is more affordable. Therefore considering all of the above, it is imperative to choose a cover that is considerate of the general health of the student which in turn will work in favour of affordability and health. Yet another point to consider is that in South Africa we get both local and international students. As part of a requirement to study in South Africa as an international student, learners are required to have medical aid from a local medical aid scheme, regardless if they have a medical aid plan from back home or not. In accordance to the Immigration Act No. 13 of 2002 as Amended and its Regulations, it states that any prospective student to any university in South Africa must provide proof of medical aid cover with a local medical aid scheme that is registered under the Medical Schemes Act, 1998 Act 131 of 1998.
International students needs to finalise the necessary arrangements and payments to a medical aid scheme before they can enter South Africa to commence their studies at a university or college. The medical aid cover should commence upon the student’s arrival and end either on the 31st of December or on the last day the student’s respective course will end. Universities and colleges has its own set of rules in regards to which medical aid schemes is acceptable or not. Each institution has its own list of medical aid schemes that they recommend. The onus lies with the student to ensure that they choose a medical aid scheme that is listed. More than 10 institutions across South Africa make use of ABSA HCC to provide the necessary assistance to international students regarding student medical aid. ABSA HCC, therefore, does not operate in the capacity of a medical aid scheme, yet acts as an intermediary between the international students and the medical aid schemes mentioned above. On-campus medical aid consultants is available at each University or College that deals with student medical aid documents and any other queries. Students have to contact ABSA HCC even if they choose to be a beneficiary under a South African parent or guardian’s medical aid plan. 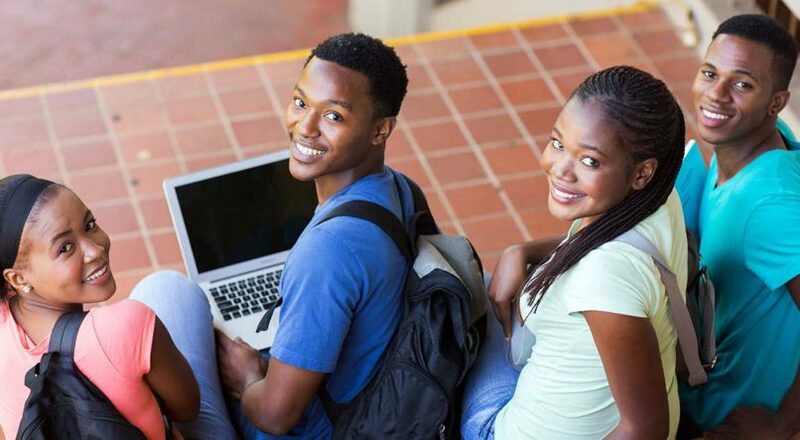 As soon as students pre-register in South Africa, international students have to provide medical aid documents, study permit and proof of fees. If the student will be making use of a sponsor, the onus is on the student to relay information to their sponsor regarding medical aid requirement. International student’s medical aid generally works like any other cover and is usually affordable. After graduation, you will need to notify the medical aid scheme a month in advance to cancel your membership. You will need a letter from the institution as well as proof of Visa cancellation.